Lobo is a fictional character that appears in comic books published by DC Comics. The Lobo character was created by Roger Slifer and Keith Giffen, and first appeared in Omega Men #3 (June 1983). 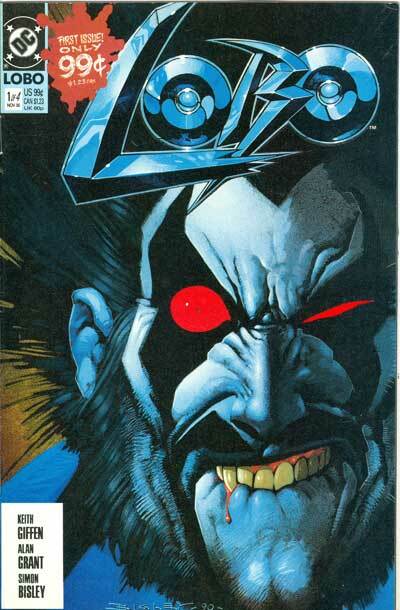 Lobo is an alien, and works as an interstellar mercenary and bounty hunter. Lobo was introduced - although initially rarely used - as a hardboiled villain in the 1980s, and remained in limbo until his revival as an anti-hero biker with his own comic in the early 1990s.